Accessorize is devoted to bringing the most exciting and eclectic products to itʼs customers. Life for Accessorize started as a small collection of accessories that became so popular that the new store was developed. The first Accessorize store was in London in 1984, but today there are more than 240 Accessorize stores throughout the UK, with 800 stores internationally placed. 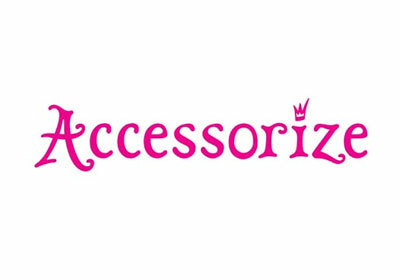 Accessorize has a unique position on the high street with inspirational, globally sourced, well-priced and good quality fashion accessories. Displayed in an original and impactful colour-bay design, the constantly evolving range includes every kind of accessory imaginable; bags, purses, jewellery, belts, hats, scarves, flip flops, gloves, hair accessories and cosmetics.